Sky Tower is an observation and communications tower located in the heart of New Zealand's largest city, Auckland. 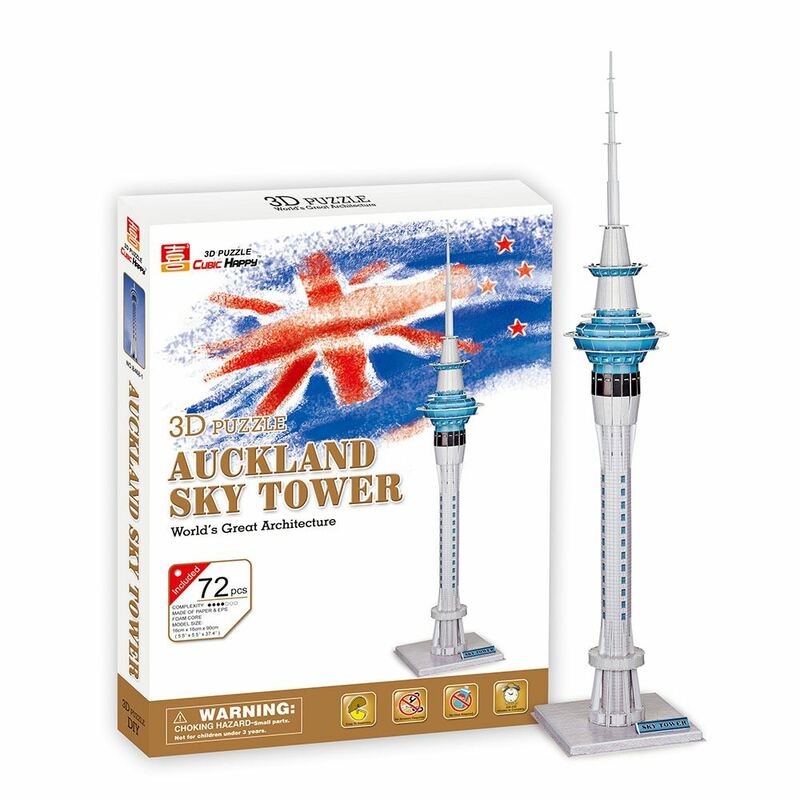 The Sky Tower is the tallest free-standing structure in the Southern Hemisphere, standing at 328m (1076ft). The tower is part of the Auckland Skycity Casino complex and attracts an average of 1450 visitors a day. This 3D Puzzle is made of paper and expandable polystyrene foam board, it is easy to assemble without the use of any other tools or glue. No of Pieces: 72 Model Size: 16cm x 16cm x 90cm. Age: 8+ years.